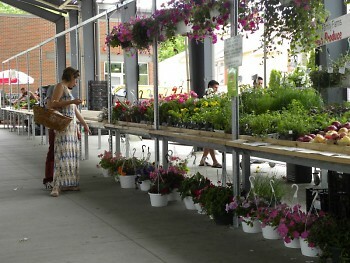 Now featuring cooking demos, music and events, local farmers markets provide more than quality local food for shoppers. The Downtown Market: 8 a.m.-1 p.m.
Fulton Street Farmers Market: 8 a.m.-3 p.m.
Ada Village Farmers Market: 12 p.m.-6 p.m. Spectrum Health Farmers Market (in Prisms Cafeteria in Butterworth Hospital): 11 a.m-2 p.m.
Grandville Farmers Market: 8 a.m.-1 p.m.
GVSU Farmers Market: 10 a.m.-1:30 p.m. The Downtown Market: 4 p.m.-7 p.m.
Plainfield Charter Twp. Farmers Market: 2 p.m.-7 p.m.
Metro Health Farmers Market: 9 a.m.- 2 p.m.
YMCA Farmers Market: 3 p.m.- 7 p.m. 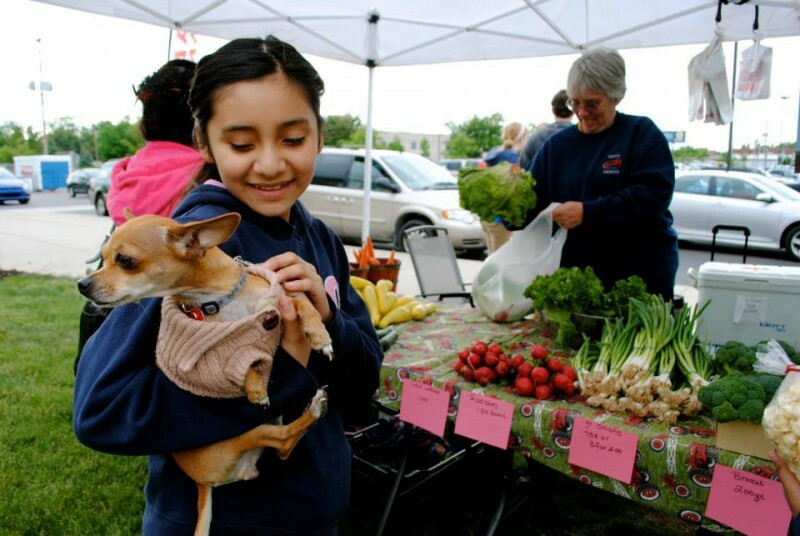 The South East Area Farmers Market (at Gerald L. Ford Middle School): 2 p.m.-7 p.m.
Fulton Street: 8 a.m.-3 p.m. The South East Area Farmers Market (at Garfield Park): 10 a.m.-3 p.m.
As the growing season in Michigan enters full swing, farmers markets are starting to see more produce, people and demand. With an assortment of farmers markets in the area, Grand Rapids offers a variety of locations, entertainment and events for the shopper interested in buying food local. Ada Farmers Market: "Music at the Market" will kick off June 18, featuring Wyatt and Sherry Knapp at 1 p.m. and Rob "Fire" Coonrod from 2 p.m- 4 p.m. "Kids at the Market" and "Yoga at the Market" begin the same day, and events throughout the summer will include face painting, Tai Chi and learning about local foods. The Downtown Market: Every Saturday on the Market Terrace, The Downtown Market will be holding "Chefs at the Market," a cooking series featuring demonstrations by popular local chefs. YMCA Farmers Market: Throughout the summer, there will be weekly cooking demonstration based on the produce that’s in season. This week's demo will include strawberries. There are children’s activities every week that include crafts, planting seeds and hula hooping. On June 20, The Carboys, a folk band from Grand Rapids, will be performing at the market. GVSU Farmers Market: On June 12 from 10 a.m. to 1:30 p.m., Campus Dining chefs will be preparing tasty samples for market visitors. Spectrum Health Farmers Market: Each week, in collaboration with a Spectrum Health Nutrition Specialist, a new product will be available in the Prisms Cafeteria in Spectrum Health's Butterworth Hospital. This week, expect homemade hummus, pita chips and tabouli. Welcome to strawberry season! While these sweet little fruits are making their long-awaited appearance at the market, it's not too late to pick up asparagus and rhubarb. Bok choi, green garlic and swiss chard are also coming now in season, as well as varities of greenhouse tomatoes. Be sure to check out Fulton Street Farmers Market's full list of what is available for shoppers right now, including breads, eggs, meats and much more.